Alpine Live is the complete online resource for connecting your company to its data. Alpine Live is owned and operated by	Alpine Power Systems, your premiere Independent Solution Provider. Alpine Power Systems was the first to provide our valued customers with an online tool to view data from their sites from anywhere in the world 24/7/365. Alpine Live reduces the need for lengthy printed spread-sheets and reports that would normally encompass a vast amount of data and require more time to find information. Alpine Live helps eliminate that problem by providing an easy to use search and filtering tool that enables our customers to find only the information they need quickly and more efficiently. Alpine Power Systems realizes that your company’s data reporting needs can be unique. That is why we will custom build your online reporting system to fit those unique needs. Simply let us know what type of search you would like to make and what information you require to be displayed as a result of that search and Alpine Live will make it happen. To find out more about Alpine Live and the services Alpine Power Systems can provide your firm please contact us and we will be happy to assist you. 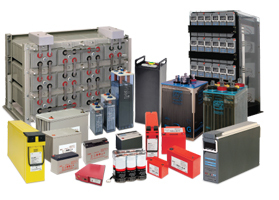 To find out more information about Alpine Power Systems please visit our website. ©2010-2018 Alpine Power Systems; all rights reserved.